Van Ende & Roxie is an industrial laundry located in Herentals. 80 employees strive every day for a fast and flawless handling of all assignments. And all this with the necessary attention to quality, safety and environment! For example, they recently installed a state-of-the-art water treatment plant, which allows most of the process water to be reused. This enormously reduces the intake of city water. 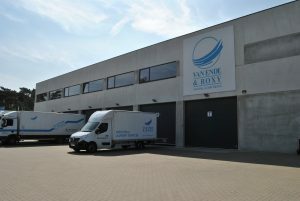 Through a good balance between decades of experience – the company was founded in 1952 – and continuous innovation, Van Ende & Roxy is now among the top industrial laundries. Van Ende & Roxy and Phronesys? © 2019 Phronesys. All Rights Reserved.